Did you know that there are more than 150 million blogs online? And only a few thousands of those attract a significant and satisfying readership. Building a blog, writing and posting articles is one thing while increasing the blog traffic and maintaining it is quite another. If you have ever wondered how you can increase your blog traffic, read these essential tips that will help you put your blog on the map. An important thing you need to understand is how to make people come back to your blog, share your content and link to it. The format of content you create will play a critical role in getting more visits and social shares. The headline, or title of your blog post, has to capture the attention of potential readers. People may see it in their social media newsfeed or search results. Make sure you include the main keyword phrase that people could use when searching for the topic you are covering. It’s also important to include the principles mentioned above in your headlines. Show social currency, practical value, or focus on emotions to get your headlines clicked more often. You need to properly structure your content so that people can quickly scan through it. Use elements such as subheadline, bolded text, bullet points to optimize each post for both readers and search engines. According to studies by SerpIQ long-form content usually gets higher rankings in search engine results. 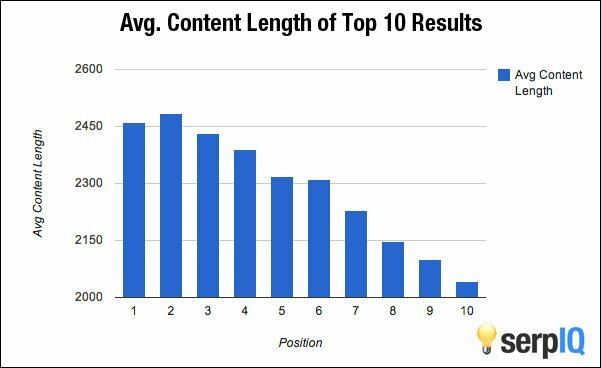 Below is the graph showing the connection between content length and positions in search results. One type of long-form content is evergreen content. Evergreen content continues to be relevant to its readers and gives them value years after the publish date. It will help you improve your SEO ranking, and you will drive more traffic to your blog. People also love tutorials. If you can explain something in details and write instructions on how to do it, people will spend more time on your site. If the tutorial goes into details, people will be more likely to share it with their friends. Also, long tutorials are something Google really likes so you might increase your page ranking in search results over time. Just like allowing guest posts, you may use a different approach to user-generated content. Instead of allowing people to have control over the entire article, you may enable them to post their photographs and videos. Individuals who find their material online will be more likely to share your site with their friends. To help you maintain consistency, be sure to use some form of an editorial calendar. You can use Google Calendar, Outlook Calendar, or even a simple spreadsheet. Use it to manage your ideas and plan your content themes for each month so that blogging is something you focus on, not something you do in your spare time. When you’re working on SEO, you need to be aware of the existing factors that influence your ranking. These are elements that affect your ranking in either a negative or positive manner. There are two types of ranking factors: On-page and Off-page. To make your content SEO-friendly, you will have to pay attention to on-page factors. As we already mentioned and as you probably already know, SEO takes both time and knowledge. And while there’s so much you can do to improve your site in this area, you can start by installing a free SEO plugin if you’re using WordPress. Consider installing Yoast SEO, or All in One SEO which will help you optimize your articles for a specific keyword. To create a list of targeted keywords for your content, you can use special tools such as Google keyword planner, KWFinder, SEMrush, etc. These services provide an opportunity to see and estimate what requests, and in which amount is entered in search engines by users on a monthly basis. From this data, you must choose “keywords” that will be most useful for your post. It’s important to invest time and energy into creating quality content. But, it’s as an important to invest time and money into the design of your blog and content. Many studies showed that good design helps you build trust with your visitors. Remember, you have about 50 milliseconds to make a good first impression. If people trust and like your blog, they are likely to come back. Thus, make sure you invest in good design. Here is a list of 30 blogs designs for inspiration. Every kid in school knows that you can’t have a fixed-width site anymore. Your website, no matter the topic, has to be mobile-friendly. If you spend some extra time during development and make sure that your site looks good on each and every smartphone and tablet, you will get more visits from those devices. Check your Google Analytics report to find out how many visitors come from smartphones and tablets, and find out which resolutions were they using. Then add that extra CSS line to make your responsive site even better for them. Create and add graphics to your content. Images can be a great source of additional traffic to your website. You can let people use your images and ask them to cite you as a source. You can even create pre-made HTML code that people can copy and paste on their websites. Before getting to the description of an image, make sure that you name that image correctly. Instead of random letters and numbers, try to add a keyword directly into the name of an image. For example, if you’re writing about Twitter, try including “Twitter” in the name of your featured image. Once you upload an image to your article, don’t forget to add a description. Google and other search engines are smart machines so don’t just add a simple keyword into the description. Still, don’t write an entire story in the description. Be brief and precise, and write several words for each image. This can help you with SEO, and it will help you to get your images on top of Google image searches for the specific keyword. While you will probably share your articles and stories from your niche, sometimes it’s ok to share something totally unrelated. For example, include occasional funny quotes, jokes, funny images and videos which may interest your followers. It will allow you to connect with your audience on another level, plus it might get you a share or two more from people who usually wouldn’t share business material. Social media is a useful instrument for promoting your blog content. You need to make sure to include social buttons to all your content, so people can easily share it on social networks. That would help you get additional traffic and exposure to your content. Add your blog URL to your email signature so your email contacts can check it out. WiseStamp is a great app to try for anyone using Gmail or other browser-based email systems. It can even pull in your latest blog post into your signature. Add your blog URL to the social profiles that you use the most, including Twitter, Facebook, LinkedIn, Google+, Pinterest, and so on. This way, whenever people find you on social media, they can discover your blog as well. Add your blog URL to author bios of any sites you are already contributing to, including other blogs that you own. Commenting on other relevant blogs is a great way to build relationships with top bloggers within your niche. Research the web to find top blogs in your niche and start commenting on their newest posts. It will help you make them and their readers aware of your existence as well as a way of developing your authority within the niche. Whenever you can, try to engage your readers. A simple call to action can be enough to make your reader leave a comment. Ask them a question at the end of your article. Ask for an opinion. Start a discussion. Any of this can bring more people into your post which will become more enjoyable to everyone else. This one is a no-brainer, and it should be number one on your list. Once you start your blog and write your first piece of content ask your close ones to share it online. If you ask twenty people to share it on social media with their connections, you will slowly start getting visitors to your blog. If you build relationships with fellow bloggers within your niche, you can ask them to share your content with their audience. If your content is great or you have done some proper research you could also request a link. Not only it will get you some referral traffic, but links also help you to rank higher in search engines. Don’t wait until you get a substantial amount of traffic, start using email signup forms to collect subscribers from the beginning. If on the first day of launching your blog you get few people who love it, you want those people to give you their email address so you can keep them up to date with what is happening on your blog. Later, this list will be what you use to promote your new content or products. Offer your blog visitors a way to subscribe to your blog via RSS readers such as Feedly.Then you can use Feedburner, service owned by Google that allows you to track the number of subscribers to your RSS feed. You’ll build valuable relationships with influencers from your niche. Your article on their blog is a free ad, not to mention the fact that you’ll earn some support from the fellow writers. The blogging community is competitive but in a healthy way. Nobody has one favorite blogger. After all, readers are always content-thirsty. There’s plenty of space for everyone who provides value. The host blogger will usually include a link to your site, thus multiplying your chances of getting noticed. It will introduce you to new audiences that are already interested in reading more niche-related content. If you leave a great impression, the host’s followers will be more than excited to include your blog on their daily reading list. Check out Lanyrd resource to discover conferences and connect with attending people. Working with other bloggers is always a right choice. However, don’t confuse collaboration with networking. While networking is all about making new connections and forming relationships with other bloggers, collaboration is the result of networking. Therefore, once you establish solid connections, make sure you work on collaborating with authority bloggers, as it will help you go way beyond your potential. When you join forces with like-minded people, you can achieve so much more than if you were working on your own. Apart from guest posting, you can work together on various group projects, such as writing an eBook, where several bloggers will make equal contributions. Having an ongoing collaboration with influential bloggers can go a long way, so you should use it to its full potential. You can organize and host your own events. It could be a local or an online event. 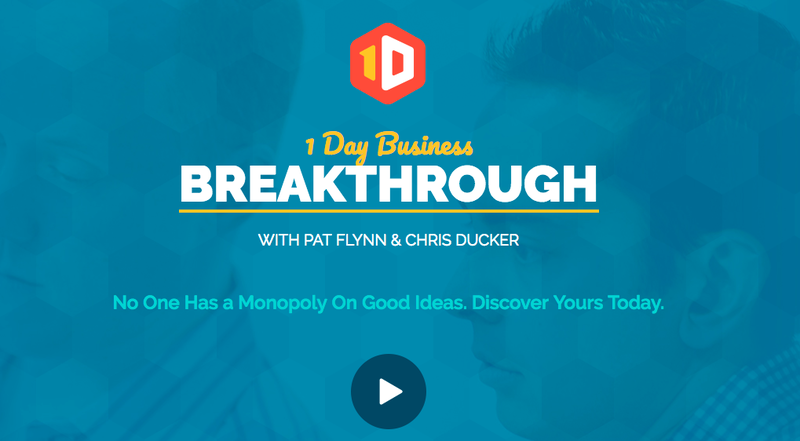 Here is an example how Pat Flynn and Chris Ducker held 1 Day Business Breakthrough local event. Events like this will help you to network with people, build new relationships and give you and your new website more exposure. You’ve done everything in your power to attract new readers and keep existing ones. But, how can you tell if your blog is successful or not? To improve, you need to have a clear insight into your performance. Setup Google Analytics to track your visitors, where they come from and top content pages on your website. Traffic is important. You may have created a quality website, but if you don’t have any visitors, who cares? You may write unique stories, take fantastic photographs or shoot amazing videos, but if you can’t get people to visit your site, all of that doesn’t matter. That’s why it has always been important to get more traffic to your site. Twitter doesn’t require a lot of introduction. If you still haven’t done so, create a free account. In a minute, you’ll be able to tweet your first message. Start working towards getting new followers, don’t forget to follow others, retweet, send messages and hit the like button from time to time, and you’ll start getting new clicks on your articles in no time. Don’t forget to update your profile info and include a link to your website. Our colleagues at Edudemic wrote an excellent article on how to get the most out of Twitter. You can embed a simple tweet directly to your posts. This will encourage people to share the content. Whenever you can, mention a person or a business in your tweets. Of course, don’t spam, but if you have used a quote or mentioned someone in your post, don’t forget to mention that particular someone in your tweet. Chances are that the person will notice that, thank you for mentioning them and maybe even retweet you. If you’re mentioning an influencer, you might get quickly retweeted on an account which counts hundreds of thousands followers and friends. If you aren’t on Facebook, you don’t exist. Luckily, that’s not true, but the saying goes around for the last few years. While it’s been mostly known for its personal profiles, Facebook allows business profiles to be made and you can’t miss this opportunity. Create a Facebook page, fill in the details about your website and start publishing articles on this huge social network. Once you start getting first likes and shares, you’ll notice the increase in traffic on your site. Don’t forget to update your profile info and include a link to your website. Facebook is huge and there is practically a group for everything. There are public and private groups you can join. Those groups will allow you to participate in discussions about different topics, you’ll be able to comment on other peoples’ articles and finally, you’ll get a chance to publish your own posts. Although it never got as popular as Twitter and Facebook, Google’s social network is still quite popular. Don’t forget to create an account on Google+ and start sharing your articles. Not only this will get your articles to a broader audience, but there’s a chance it will help you with ranking in Google’s search results. Also, don’t forget to update your profile info and include a link to your website. Just like Facebook groups, Google+ has its own communities which you may participate in. Simply find communities link in the main navigational pane, and start searching for a topic. There will be different communities you can join and most of them will allow you to be a full part member from the start. That means that you’ll be able to read what others say, comment and like their stories and articles, answer questions and share your own articles which may bring you a few more clicks to your site. Reddit is a huge community which allows you to discuss literally everything. You can share links, text and it also serves as a news aggregation site. While it is really easy to create an account and publish your link, be careful. Reddit moderators are really sensitive about self-promotion. While we definitely suggest that you become a Reddit member, don’t consider it just as a promotion platform. Before you’ll get a chance to publish your own links, make sure that you actually prove yourself as a true Reddit member. That means that you have to participate in other discussions, comment on peoples’ links and text messages and also share articles that aren’t exclusively yours. If you only want to spam subreddits with your own links, sooner or later you’ll find yourself banned from the network. Since many of the subreddits allow you to post only after a specific period of time spent online, you’ll find out how hurtful can a ban be. You can find great tips and tricks which will help you get started with Reddit on Hongkiat. Here is a beginner’s guide to Reddit from Mashable. While you can get much traffic just by participating in subreddits for free, Reddit offers quite a nice advertising program for you. Unfortunately, their ad manager looks aged but don’t let that discourage you. Once you add your payment details to their manager, you’ll be able to promote your links in a matter of seconds. Add a link you would like to promote, attach a nice image to it which will draw readers’ attention and carefully pick subreddits on which the ad will appear. Take some time while writing a title and keep in mind that Reddit users like stories, and not the ads themselves. For just several dollars, you can easily get hundreds of new visitors through Reddit ads. Imgur is an online sharing community which allows anyone to upload their images. As you might have already guessed, you can’t publish direct links to your WordPress site from this community, but you can still get traffic from it. First of all, the moment after you create a new account, go to your profile settings and add your URL in the description. After that, start working on your images – the more you care about images, the more users will respond to them. And that means getting likes and comments where you can talk about your site and your brand. If possible, include text on your images – although people won’t be able to click on the link, they can see your URL and manually write it down if they want to see more about what you’re doing. Just like Imgur, Instagram won’t allow you to share the entire article with the community. But if you’re creative enough, you may be able to capture something related to your article and create a nice image out of it. Then, you can post a new image to your profile which may interest people into reading the entire article. Don’t forget to include a link to your website when editing Instagram profile info. 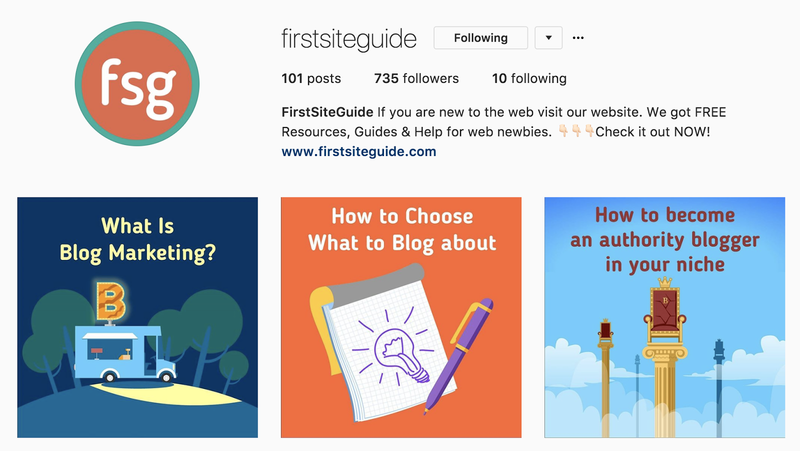 For example, here is how we modify content that we post on our blog for our Instagram account. Pinterest is a network which allows you to share stories by pinning images and videos on different boards. Those boards act as groups which can be seen by people who liked them. Unfortunately, Pinterest takes a bit more effort than aforementioned social networks because if you want to stand out, you will have to be creative. Instead of simply sharing a link, you will need to create the entire graphic which will represent your article. Then, if the graphic is good enough, you’ll be able to interest people into clicking the link you may leave on the image. Take a look at these 21 insanely useful tips every Pinterest user should know. If you write a lot and for a long time, you may want to consider republishing your old articles to social networks. If you have editorials or some different content which can’t get old, you can easily share that article on all social networks once again. 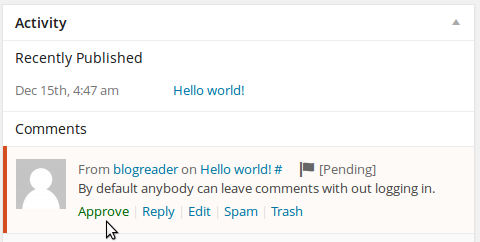 You may do that manually, or if you’re using WordPress, you can make the entire process automatic by installing Revive Old Post plugin. LinkedIn is a business-oriented social network which connects people all over the world. Still, it allows you to share your thoughts and your articles with people you’re connected to. If you’re careful with what you share, you might get new visitors from the popular business network. Just like the other social networks, LinkedIn allows you to participate in groups. Find a group which is interested in the topic you’re writing about and you’ll be able to publish your articles to people who will be interested in them. Mix is a unique discovery network which allows you to stumble upon a new content of interest. It is easy to create an account and set up everything, add interests and submit links. Once you choose a category, you can post an article to it while all the other users may get your site loaded on their screens. If you’re lucky (and you have a quality content), people will start to like your pages, and that means getting even more social shares. Don’t expect instant success, but if you try hard enough, you might get a decent number of new visits from this impressive network. ViralContentBee is an interesting web-based platform that contents people and their content. By sharing articles posted by others, you get points which you may use for your own promotion. Once you accumulate a decent number of points, you can start publishing your own articles. After they’re approved by the admin, people get to discover your promoted articles on the site and they get to share your material on Twitter, Facebook, StumbleUpon, Pinterest and Google Plus. You can easily get shared dozens of times without paying a cent on Viral Content Bee, but be ready to share other peoples’ content as well. 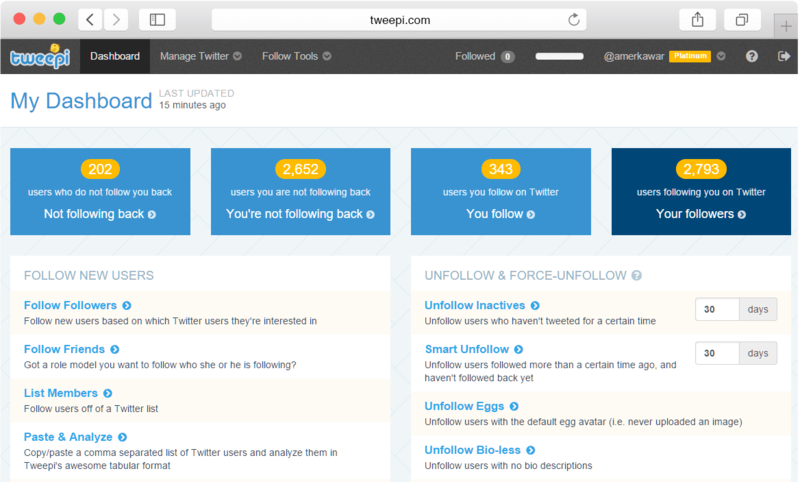 Tweepi is an online service which allows you to easily manage your Twitter profile. It will show you details about your account and your followers, and more importantly, it will allow you to follow and unfollow people from your Twitter account. Dozens of available filters will allow you to find new people via hashtags they use in tweets, you’ll be able to unfollow people based on different criteria and the fun part is that you get to filter out competitions’ followers. All that means that you can find the right people for you in minutes, and once you reach them, you’ll have a greater audience for your tweets and hopefully more clicks from the popular social network. We’ll write more about this fantastic service in the future. Buffer is a service that allows you to automate the process of publishing new posts on Facebook, Twitter, and several other social networks. You can schedule posts for several days in advance. By doing this, you can control when each post is being published so that you can target your audience all across the globe at the right time. Practically everything you write about can have a video attached to it. Whether it’s a simple promotional video, step by step tutorial or your own opinion about something, it’s a good idea to post it on YouTube. The video itself will generate new traffic, plus, you’ll be able to add your link in the video description. If you’re creating interesting videos, other bloggers might want to share your videos as well. Depending on the quality of your videos, you might easily get hundreds if not thousands of new clicks just through YouTube. These 10 things can help you with publishing your first Youtube video that will become popular. Alltop is a popular news aggregation site which displays news for practically every niche you can imagine. If you fulfill their requirements, you can get your site featured within a category of choice which means that your new articles will automatically get published on Alltop pages. Although this service might help you with attracting new visitors, make sure that you check all of the requirements before submitting a link because the moderators are very strict with their rules. If you provide an incomplete link, you can practically forget about Alltop once and for all. Blogarama features hundreds of thousands of blogs scattered through different categories. You can submit your own blog for free and list your new articles on their site. There are millions of visitors which may end up clicking on your link if it’s interesting enough, so make sure that you add your blog to the right category. There are dozens of other blog directories like Blogorama so don’t forget to search for others. Although social networks have become a much more popular way of participating in discussions, forums are still to be found all over the Internet. 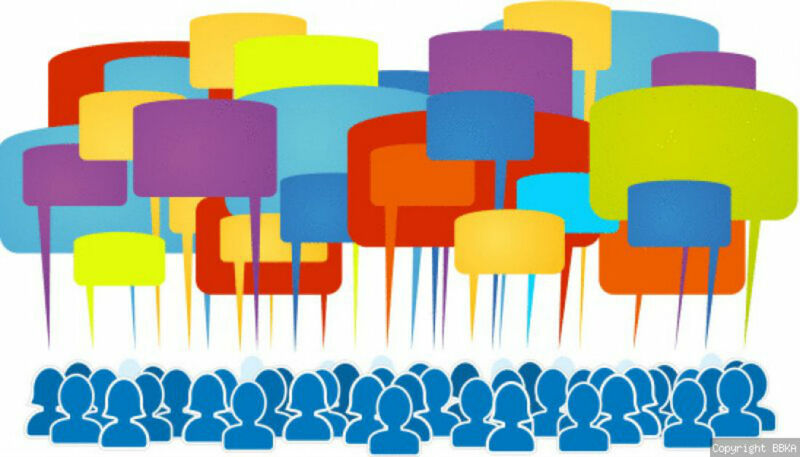 Find forums where people gather to discuss things of your interest. There you’ll be able to join discussions and hopefully, add a link or two when appropriate. Don’t forget to fill in details about yourself and your site in the signature. There are different blogging communities to be found on the Internet. For example, you might want to join ProBlogger or CopyBlogger. Those communities will allow you to meet other people who write about similar topics and it will get easier to find someone who will want to cross-promote. People like to get stuff. Whether it’s a t-shirt with your logo printed on, a cup or maybe even a new iPhone, you can interest people into opening your site just by creating a giveaway. But before you start thinking that you need to invest a lot of money into one, try thinking of a prize that will interest your visitor which may cost you no money. Before you start creating a giveaway, make sure you don’t do these mistakes which can hold you back. Do you have a product/service that you may offer to your visitor for free? Can you provide a free subscription to usually paid service on your site? Can you find someone willing to give away something as part of a cross-promotion? All of that is a good material for a giveaway. If you’re an expert in the field, you may want to suggest your articles as Wikipedia resources. Find the topic you’re writing about on Wikipedia and then suggest your article as a source of extra information. Before actually submitting your links, make sure that you know what you’re writing about because you won’t be able to add just any link to Wikipedia. If you know what you’re writing about, you may want to get involved with Wikipedia. Create a new page about a specific topic and include links back to your site. You can write weekly or monthly round-ups of your own content or you can collect the best articles found on the web. These round-ups are always interesting and you can get a few clicks more to your original content. If you’re creating a list of other articles found on the internet, don’t forget to ping back the original authors who might include you in a tweet and get you even more clicks. 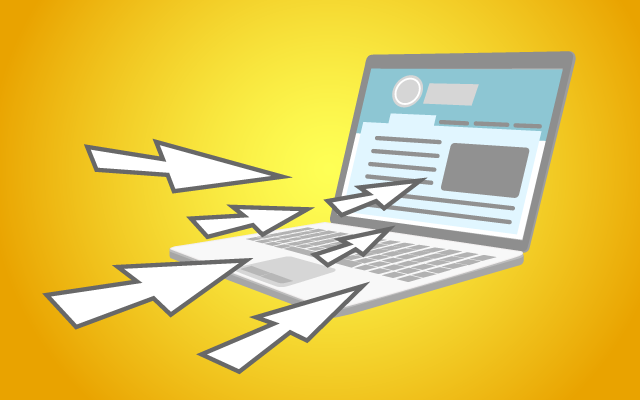 No matter the topic of your blog, there are dozens of sites which cover news from your niche. Make sure that you find all those sites, then contact the team and notify them about your blog. You may end up surprised how many of those sites will include you in their RSS feed or mention you in an article, a tweet or somewhere else. Although you do have to work a bit harder to achieve this goal, Google News might be worth it. If you follow their guidelines, and you restructure your articles in the right way, your articles will probably become a part of Google News which means exposure to hundreds of thousands of potential visitors. Take a look at these 5 tips to get listed on Google News. If you like to share content, you might be interested in Snip.ly. This social media conversion site allows you to create and to add a call to action button to every link you share. That means that if a person clicks on the link you’re sharing, they will also get a link which will direct them back to your site. Contact influencers from your niche and ask them about the interview. You might conduct a small interview which can benefit both you and the influencer. If done right, the person might mention you in their articles or social media post and drive traffic back to your site. If you write good and honest reviews about products on the internet, the chances are that owners of that product will share your article and expose you to a broader audience. Depending on what you do, you might be able to create an application which will allow people to use your product more easily. It might be a complete app which you can feature on smartphones, or it might a be a simple web application which will help people with something. If others can benefit from a service you’re offering, try making that as simple as possible. You can create a browser extension or a bookmarklet which will people use. Add related articles at the end of your every article. If you’re working with WordPress, you can quickly add tags to each of your posts. Then, if you install any of free or premium plugins for the job, it will automatically add several links similar to the original one. If you’re careful with your tags and related articles come up nicely, you will engage your visitor into reading more on your site. Udemy is a popular platform for online learning. It features different tools which allow you to create courses which can then be shared with others. If you create a course which can teach people something, others will be more than happy to share it and drive traffic back to you. Once you collect email addresses from your visitors, don’t forget to email them occasionally. Don’t overdo; sending several articles during a month can probably bring you some extra visits, but if you send emails daily, you’ll probably find yourself with fewer emails than you have started working with. Install a push notification plugin on your site. That will allow your visitor to subscribe to that kind of notifications. After you have some people subscribed, you will be able to notify those people directly through their browsers and smartphone applications. Linking to other sites can help you more than you might think. Unfortunately, many people still believe that linking to competition isn’t a smart move, but actually, it’s quite the contrary. SEO techniques require you to have at least one external link from each of your articles. Also, a link to some other article might alert the owner who may decide to share your post or even include it in their new roundup. Facebook advertisements are simple, but quite a hard nut to crack. It will take you some time before you get to know your audience, but if you can spend a few dollars into advertising on this social network, it can bring you back visits from people you’ve never reached before. Google AdWords is a dimension for itself. The good thing is that you can get started relatively easy, but it will take some time until you get to master the tool. Also, while AdWords will help you get in front of other search results for a particular keyword, prices can get high. If you have a visual product which you can promote on Pinterest, using ads on this network can help you gain even more clicks to your site. Please see the Pinterest Ad Manager guide for more details. If you run a blog dedicated to technology, cyber or network security or a similar topic which go into details about tech, you will want to share your articles on HackerNews. You can easily create an account and share your first link which can get a few instant clicks, but getting the most out of the network will take time and practice. Please don’t spam the network and don’t forget to read stories from other people. If you have a WordPress related blog, ManageWP is the right place for you. It is a people-powered WordPress community where you get to read articles, follow people, share your own links and vote for the best stories. After you create a new account, it will take you several days until you get to share your first article. While it is ok to promote yourself through the community, please don’t overdo because you’ll quickly find yourself without posting privileges. If you’re a developer, the chances are that you already have your Github account. Don’t forget to add a link back to your website. Then, when you help other developers with their coding, you can expect them to check out your profile and click on the link found over there. Inbound.org is an online hub for marketers. Here, you can follow others, read great articles about marketing, SEO, web and other topics. If you invest time into the network, and you have knowledge about what people are interested in, you can get a quite a huge number of new visits from the site. Among many other things, the speed of your website is determined by the server on which you’re hosting your files. If your hosting provider isn’t good enough, your site might load slower. Make sure that you’re using the best hosting you can afford. Also, know your audience; don’t host your website on a server in the USA if your audience comes mostly from Europe. Edgar is a service similar to already mentioned Buffer. It allows you to add articles to a library and then automatically share those article on social networks. If you have a lot of posts, Edgar can help you organize things. Getting more visitors to your site is a never-ending story. Although it might seem that the list of easy ways to get more traffic is one of that kind, today’s article is here to prove you wrong. Triberr is a social network where bloggers and influencers meet. Join as many tribes as you can and start actively writing, commenting and sharing stories with tribe members. Don’t forget to add your RSS feed to the Triberr account so that others can share your stuff more easily. Take a look at some ideas on how to increase traffic from Triberr. Use one quote from your article and make it tweetable. By doing so, people will be more likely to share your story since they won’t have to write anything but only click the link to tweet it. It doesn’t matter what you write about, sooner or later a post will get old. Instead of bouncing people from it, make sure that you update your earlier post and that you keep your visitor interested. Whether you’re only updating a missing link, adding the new description or simply pointing people to a new source, keep updating old posts. Some posts won’t allow simple updates. Instead, you can write a whole new post describing the old topic. Still, that doesn’t mean that you have to delete the old post, but this will allow you to link new posts from the old ones and keep your visitors on the site. This one is obvious but many bloggers still forget to proofread their articles. No one likes sharing articles with a lot of mistakes. There are many proofreading tools which can help you with grammar and typos. Don’t let your blog become a target for grammar nazis. For example, you can use Grammarly which is a popular tool for proofreading. It can also help you with synonyms and the overall sentence structure. If you have a physical product which you promote online, you can use Product Hunt to get more people interested. If you join the community, you will get to share your own product which others can see, vote for, comment, etc. 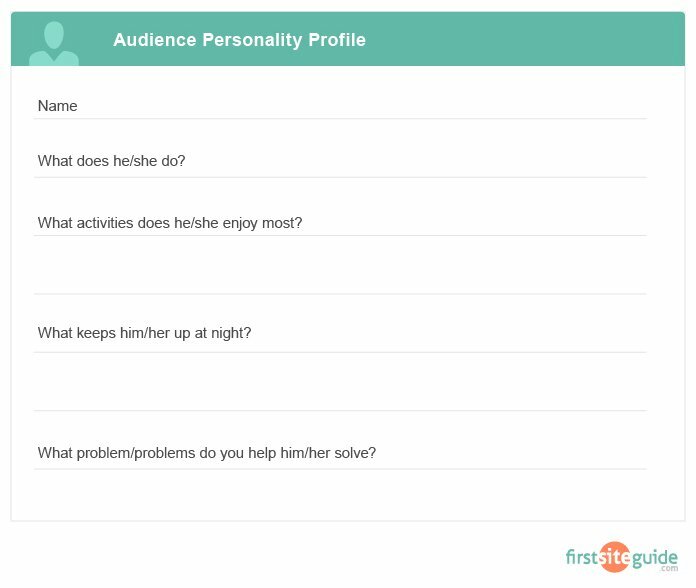 To get started, see how Bram Kanstein launched the #1 most upvoted product of all time on Product Hunt. Although everything went online, you can still benefit from old-fashioned marketing. 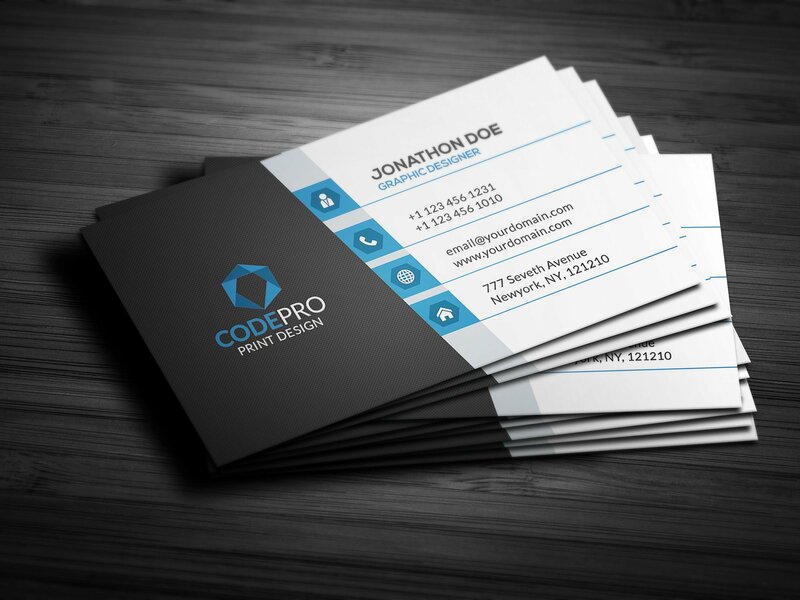 If you’re still using business cards, don’t forget to include the link to your website on the card. Depending on the number of cards you give away, you can expect people to directly enter the URL and visit your site for more info. If you own a store or have offices, don’t forget to include name and link to your website in a visible place. There are still people who don’t use the Internet on a daily basis and the only way they can notice your site is by reading the link from your doors. When you’re posting new articles on Twitter and other social networks which support hashtags, try adding new ones from time to time. By including new hashtags, you’re actually showing the article to someone new. Still, don’t write tags which have nothing to do with your site or the post you’re currently sharing. Depending on where you’re located and how you run your business, simple stickers can be helpful. Use eye-catching stickers on your laptops, cars or doors to your store. If your stickers are good enough, people might notice them and remember a link to your site. If you have a large team, you can print out T-shirts which would your employees wear and promote your business. You can also use those T-shirts as a reward for a giveaway. SliderShare allows you to upload a presentation to the web. If you have articles which may be converted to a presentation, you can use this service to further promote your website. If you do it interesting enough, you can get more people to your site. Writing an e-book, even a small one, requires a lot of time. But if you know what you’re writing about, and the topic is relevant to your business, people will start responding to it. Of course, your e-book should contain a link to your website and it should invite people to visit the site for some more info. An e-book can serve you as the incentive to get more subscribers to your site as well, or even as something you’d give people in a giveaway. If there is a post which became much more popular than your other articles, it might be a good idea to make it sticky. By doing so, your post will be the first thing seen by a new visitor. Since the post has already become so popular, the chances are that this actually is your best post, and its new visitors will judge your site by it. Just by making that post sticky, you can interest visitors into reading your other stuff on the blog or share it. If you sell something online, chances are there are more than one available marketplaces you can join. By doing so, your product will become more exposed, and it will be seen by a greater audience. Also, you will be able to leave your info next to the product so that user can get to your site more easily. When you’re selling a product, you should take advantage of landing and squeeze pages. Instead of leading visitors to your blog or the homepage, lead them to a specifically designed landing page which will interest them in your product and which will link them directly to articles they’re interested in. If your site isn’t ready yet, you should use a coming soon page to show to your visitors. Landing pages can help you guide your visitors which won’t lose time on stuff they’re not interested in. They will thank you by staying for a longer period, referring their friends or subscribing to your mailing list. If you’re using WordPress, OptIn Ninja is a great tool which can help you build landing pages. If you have personal profiles on popular social networks, you already know that people love motivational quotes. Use this to your advantage and create motivational posts which can promote your work. Be subtle about it – create an image with the quote and leave a link to your site on the bottom. Depending on your audience, there are times of the day/week which may help you get more clicks. Take time to get to know your audience and find out the best times to post. Take advantage of your favorite posts and get even more from them. Use free online tools which will convert your popular article into a PDF which you can then share through email, social networks or maybe even make them available for download. Think about hosting a free workshop. Teach people something and give that lesson for free. It will get you a chance to talk about your business, and since you’re teaching them something, people will be more likely to see details about you and what you do on your site. If your workshop is valuable to people, they will also be more liable to talk about it and share your work with friends online. Most of the people use Google as their search engine of choice. Still, Bing is very popular and you can use this to your advantage. While competing for specific keywords on Google might be mission impossible which would drain your wallet, you can compete for the same keyword on Bing and actually get more traffic from it. Make sure that you check Bing advertising options. If you’re getting visitors from smartphones and tablets, which you probably are, you might be interested in mobile ads. Depending on your website and the product, those ads might get your more visitors than you think. To get you started, you should see what Apple and Google offer. We already mentioned several services which allow you to pay for ads. If you’re planning on spending a few dollars, don’t forget other options as well. Many different services offer ad spaces, banners and similar options which may expose your site to a bigger audience. Polls have always been a good way of interaction. A simple poll may keep your reader on the site for a bit longer period of time, but more importantly, a survey can generate meaningful results. You may ask readers what they like or what would they like you to review next. By doing so, you will keep bringing current readers back to your site and improve the content which may get you even more clicks back. Don’t be afraid to ask for help from time time. Just like the polls above, you may directly ask your reads for help. Use your articles to ask them questions, use social media networks to ask them what they would like you to write about or be straightforward and simply ask them to share your articles. When it comes to searching the web, an average user thinks of Google. This search engine is so popular that people don’t even use the phrase “browsing” or “searching”, but they use the phrase “Google it”. Still, don’t forget to submit your site to other search engines like Bing, Yahoo!, DuckDuckGo, Yandex, and many, many others you might not have heard of. Finding the right topics and writing informative content takes some time and effort but making sure that the right people see what you have written require even more work. That being said, the whole process can be streamlined, so as long as you focus on the proper tactics that we have outlined in this article, your blog traffic will grow steadily.